Do you have an agile team that works cohesively to execute a development within stipulated deadlines? If the answer is ‘yes,’ then you would be interested in checking out these tools. They promote collaborative functioning amongst web development teams, thus accelerating successful project completion. Here’s a list of tools that can boost your web development teams. Calls: If messages aren’t enough to express your views and share your thoughts, take conversations to the next level with the ‘Slack’ Calling or ‘Slack Video Calling’ features. Share, drop and drag: Whether it’s your documents, PDF files, images or business spreadsheets, Slack will let you share them with anybody. You can also add comments for future reference. Power search: Its search facility lets you find files, notifications, or messages by words, even if the words are inside the files. Default integrations: Slack provides access to several tools by default. These include GitHub, Google Drive, Trello, and mail marketing software. Get more job done within short spans of time. Trello’s lists, cards, and job boards will help programming teams work together without facing critical hassles. Organize your projects and prioritize the work in such a way that the entire operations take place in an exciting, innovative, and flexible manner. Teams can also bring new employees on board, and they can share project details on the Trello board. Talk to your team members directly through the Trello board for meaningful conversations. You can converse with one person or engage in discussions with an entire team. Whether you have a small-scale venture or a colossal enterprise, Asana will prove to be the best resource for you. Track and monitor your web development project right from its inception to the final denouement. Irrespective of the type or nature of an organization, Asana can streamline team work and promote group participations. Those looking forward to agile web development can place their bets on Jira, a powerful, intuitive, and high-powered web development software. Every member of your team can use Jira to perform the following functions. Plan: Plan prints, create stories, and distribute responsibilities across a team. Track: Discuss your team’s contribution and individual job roles. You can also engage in one-to-one conversations. Release: Ship with unmatched confidence, as you will always have access to accurate information. 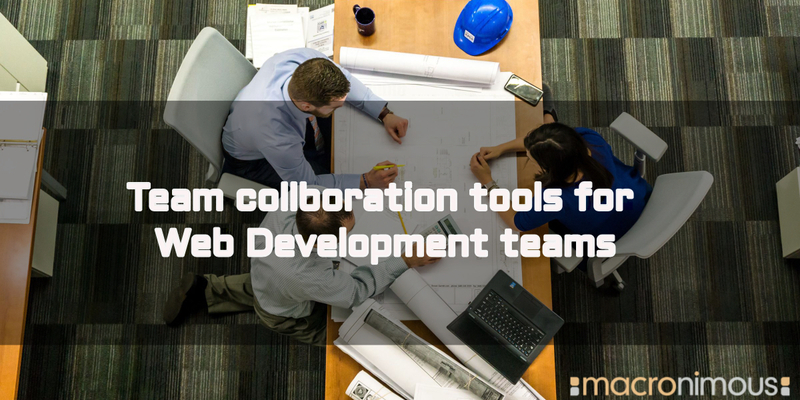 Embrace these collaborative tools for an integrated and fully operational web development team!